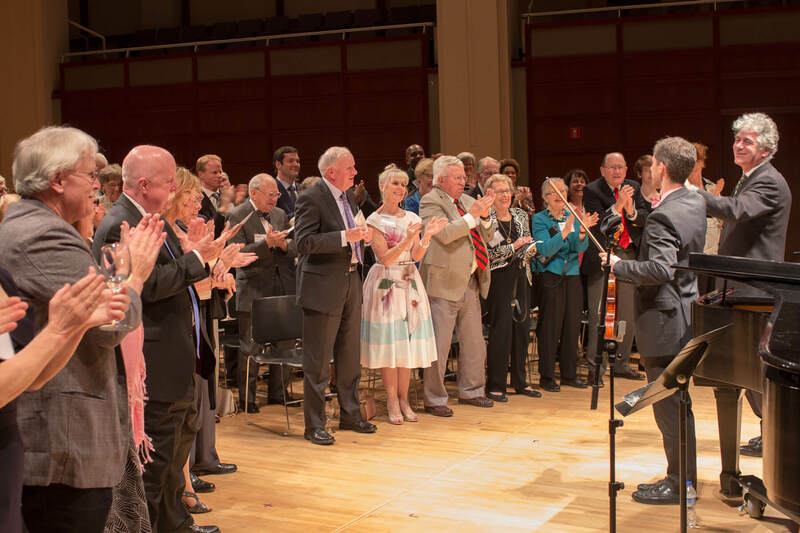 If you would like to extend your support of the North Carolina Symphony to make a lasting impact, there are several gift arrangements to choose from. With a little planning, you can create a lasting benefit for the North Carolina Symphony after your lifetime. To explore planned giving options in complete detail and discover which will best meet your needs, click the button below — or, as a first step, read on to find an overview of some of the most popular options. The Pulitzer Prize-winning composer, flutist, and conductor Lamar Stringfield was the North Carolina Symphony’s founding music director. The Lamar Stringfield Society, named in honor of this inspiring founder, celebrates individuals who have included the North Carolina Symphony in their estate plans, or have established endowed musician chairs or special funds. The contributions of individuals in the Lamar Stringfield Society keep the Symphony performing across the state, as it has since its founding in 1932. Members of the Lamar Stringfield Society are recognized on a dedicated page of our statewide program book and receive benefits such as invitations to special members-only events. Structure your will to provide for your family first; then include a gift to the North Carolina Symphony. Just a few simple sentences and a meeting with an estate planning attorney are all it takes. If you’d like to support the North Carolina Symphony and receive steady payments for life, a charitable gift annuity may be right for you. If you give stocks you’ve owned for more than one year that are worth more than when you purchased them, you’ll qualify for significant tax advantages. Consider making the North Carolina Symphony a beneficiary of a percentage of your retirement plan assets. Then, leave less-heavily-taxed assets to your loved ones. With a charitable remainder trust, you receive income each year (either fixed or variable) from assets you place in the trust. After your lifetime, the balance in the trust goes to the North Carolina Symphony. When the original purpose for a life insurance policy no longer applies — such as educating children now grown or providing financial security for a spouse — your policy can become a powerful and simple way to support our work. We can help you find the right charitable gift for you, in confidence and without obligation. For more information, please contact Rebecca Watkins, Director of Major Gifts & Planned Giving, at rwatkins@ncsymphony.org or 919.789.5497.